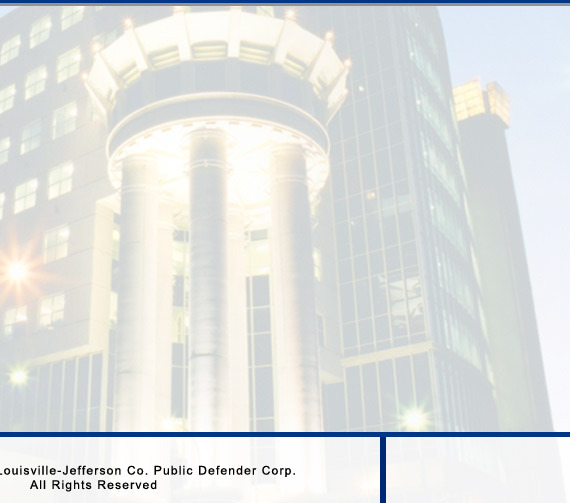 About The Louisville-Jefferson County Public Defender Corp. The Louisville-Jefferson County Public Defender Corporation is a non-profit organization rendering legal services in the largest jurisdiction in the state of Kentucky to indigent adults and juveniles accused of crimes and status offenses, and to those who are subjected to involuntary hospitalization due to mental illness. The office functions as a full-service law firm providing defense representation in all state courts at every level, as well as appellate and post-conviction advocacy in both the state and federal courts.